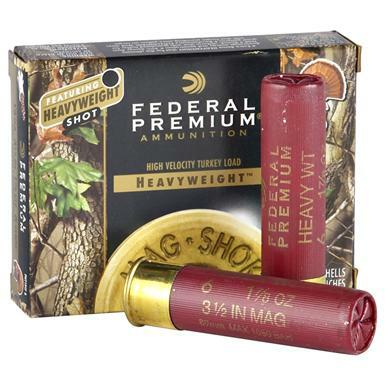 5 rounds Federal Premium® Mag-ShokTM Heavyweight® Turkey Loads. Conventional wads peel from the front, allowing pellets to scatter wildly. This means fewer pellets on target, less impact power, and fewer downed birds. Mag-ShokTM Turkey Loads, on the other hand, feature Federal®'s special rear-braking FLITECONTROL® wad that separates from the pellets at the exact right moment for consistent, hard-hitting patterns. These are some killer rounds. 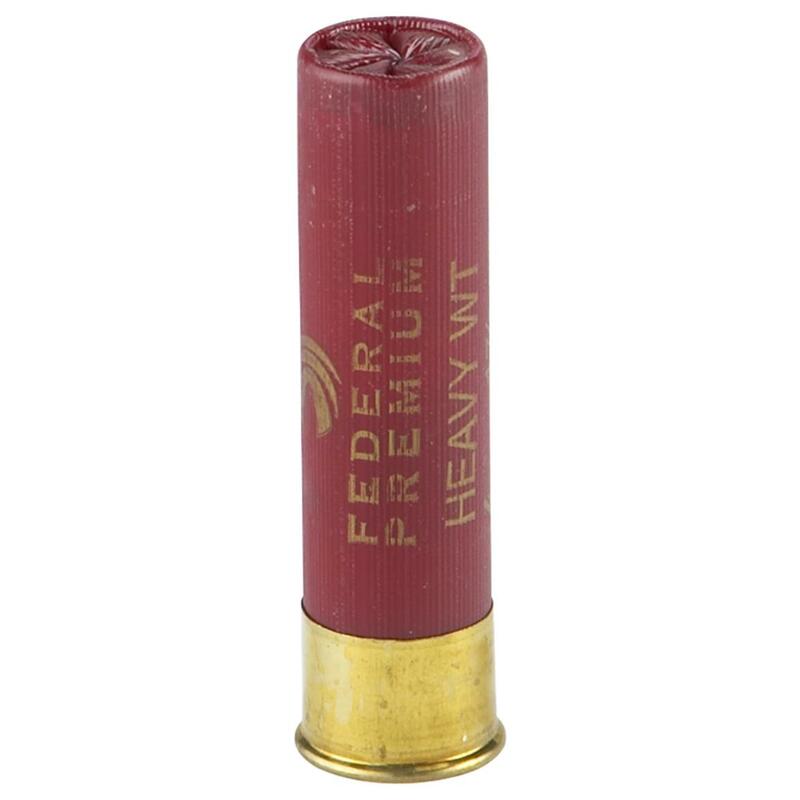 Muzzle Velocity: 1,300 ft. lbs.